The American Health Council is proud to appoint Ms. Stephanie Georgoudiou, Advanced Practicing Registered Nurse at UT Southwestern Medical Center, to their Board of Nurses. With 11 years in the healthcare industry, including one in her current role, Ms. Georgoudiou shares her honed knowledge and expertise in Adult Gerontology, Wound Care, and Nursing. Graduating with her BSN from Bethune Cookman University in 2006, Ms. Georgoudiou went on to receive her MSN in 2015 from the University of Florida. She became involved in the healthcare industry as she has always harbored a love for the field, and attributes her continuous success to her determination and perseverance. Ms. Georgoudiou loves all aspects of Wound Care, and is inseparable from her educational textbooks. 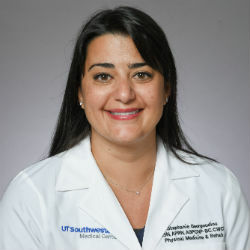 At UT Southwest Medical Center, Ms. Georgoudiou partakes in daily inpatient and outpatient care, as well as providing long-term acute care, wound care, consultations, and follow-up appointments. She also assesses, diagnoses, and prescribes wound treatments in an acute and post-acute setting. Ms. Georgoudiou is a member of numerous professional associations, including Sigma Theta Tau, the American Nurses Credentialing Center, the Wound, Ostomy and Continence Nurses Society, as well as the Association for the Advancement of Wound Care. Within the next five years, Ms. Georgoudiou is striving to publish her research paper. She would like to take on more leadership and mentoring roles within her career, in addition to expanding her monthly multi-disciplinary education in-service. She currently mentors high school students interested in pursuing careers in the medical field, teaching Wound Assessment and Care through Allied Health Services. She also educates staff at in-service meetings and serves on the Respiratory Device Related Pressure Injury Committee. UT Southwestern Medical Center is the only academic medical center in North Texas. 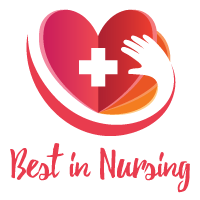 They were recognized by the American Nurses Credentialing Center and ranked one of the “Best Places to Work” by the Dallas Business Journal. UT Southwestern Medical Center has dedicated health care professionals on a mission to improve the health care in their community, our nation and the world through education, innovation and compassion.